Suitable for assembly of critical parts and mass production lines. Pre- lock version of QL model. Suitable for single purpose bolt tightening as preset type with graduation. movement at 15 degree intervals which allows for gear ease of tightening in confined spaces. 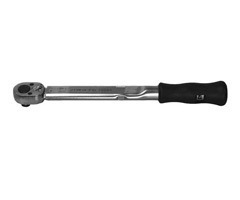 Hex key is supplied as standard accessory.